Having been raised in Burlington and currently living in West Hamilton, I am a lifetime resident of The Halton Region, allowing me a strong knowledge and expertise of the 905 Area. In 2009 I transitioned from a successful career in accounting and finance to join real estate and have never looked back. Real estate has always been my passion, which can be seen reflected in the results we achieve for our clients by helping them buy and sell in the competitive market that is the west GTA. My team and I are meticulous for paying attention to every detail as well as our commitment to truly listening to our clients’ needs because that is how we do business. 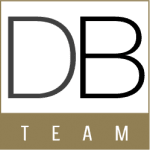 My firm real estate direction, tough and tactful negotiating expertise and ability to accurately price properties results in the best value and profits for our clients. Our marketing model provides full exposure on multiple platforms, both locally and globally, guaranteeing results every time. My ability to communicate openly and effectively provides a client focused experience. I always offer my best advice and focus on your needs while my team and I are available 24/7. From first time buyers to high end estate sales we have the experience required to satisfy your every need. We have set the bar high so you can expect us to exceed the loftiest of expectations. I am honoured to say that my team and I are recipients of numerous industry awards including the coveted Diamond Club Award 2018, Titan Club Award 2017, Re/Max Lifetime Achievement Award 2017, Platinum Club since 2011 and the Top 50 agents for RAHB. We are an award-winning team of RE/MAX real estate consultants who have had the privilege of delivering SOLD for 98.99% of List Price with an average “Days on Market” of 19.11 for the 2018 year!